The Start Of Christmas Decorating! 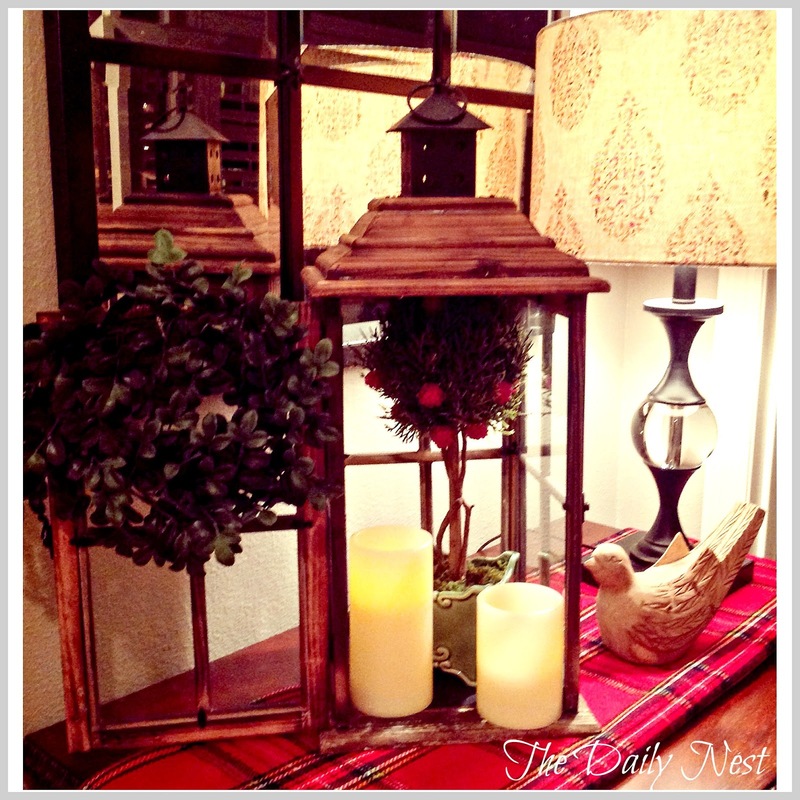 The Daily Nest: The Start Of Christmas Decorating! The Start Of Christmas Decorating! I hope everyone had a wonderful Thanksgiving with family, friends and of course good food! I wanted to share with you what I've got going with Christmas decor so far! There will be more trust me! I'll start with the entry that I started really from using things I already had around the house. Although I do have one new thing, my Christmas present! 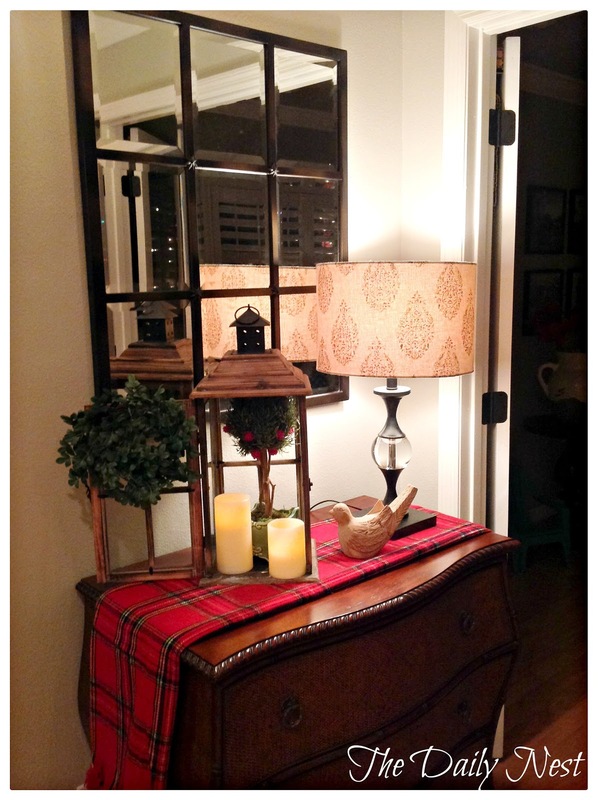 It's the Eagan Multipanel Small Mirror from Pottery Barn! And she's a beauty! I've wanted this mirror forever. Each mirror is beveled and really makes the whole mirror sparkle! It's everything I imagined! I just picked up this Tartan Red Plaid throw from my favorite store here in Tampa RareHues. At first I had it laid over my white chairs and it looked beautiful there. But then I thought why not use it as a runner! I love it here! But you never know it could show up somewhere else! My little boxwood wreath from Ballard Designs that I got last year placed on a lantern with a topiary and a couple of candles completes the look. I'm not sure about the lampshade that may change too! For now it looks pretty. In the kitchen I have my magnolia wreath from Williams-Sonoma hanging in my big window. Along with another purchase from RareHues, this wire trellis. 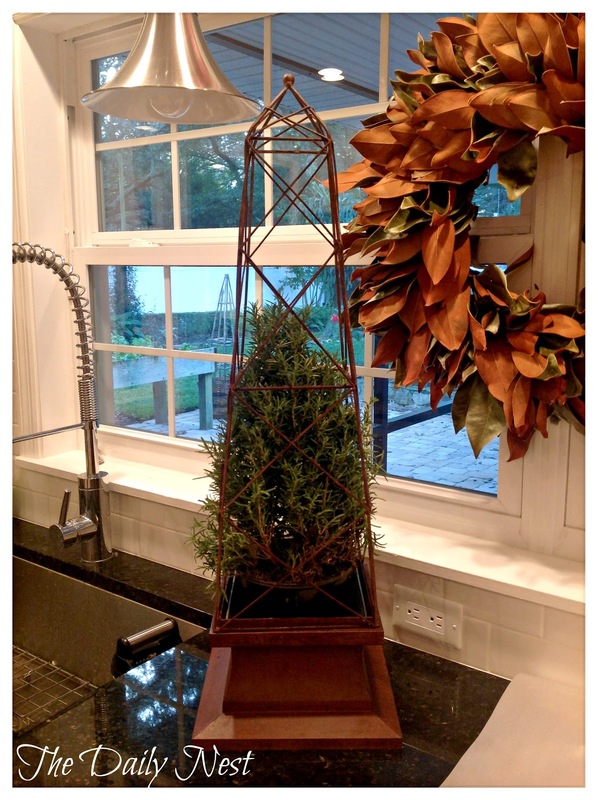 I will use this year round, but for Christmas I have a fragrant rosemary plant in it.